Oh, is it October already? This beautiful two-week window of mid-October in Michigan is one of my favorite times of the year. The bright, speckled palette of trees that frame wide-open fields of corn, wheat, and soybeans…. The warmth of a cozy couch cushion, a warm mug of mulled cider, and the lull of the voices of sportscasters on the TV– all tugging you into the nap you’ve been putting off for months. 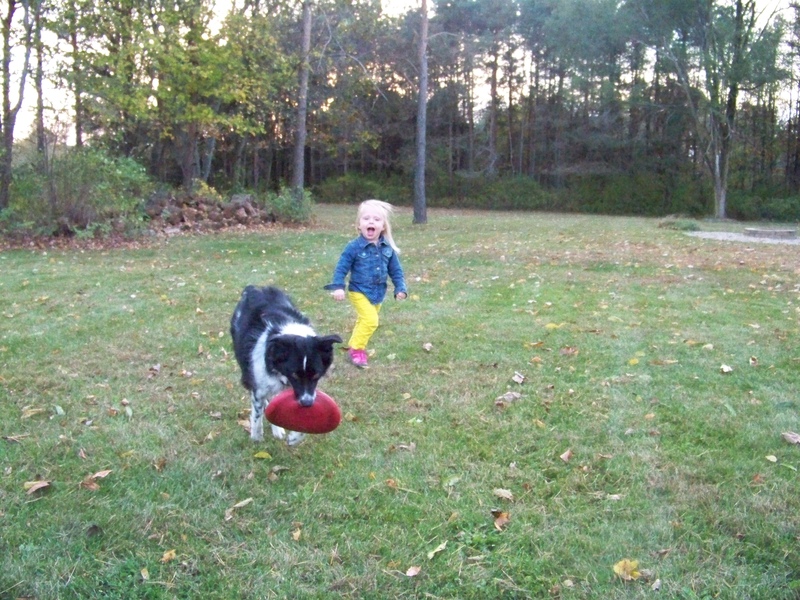 I’ve been teaching Elise the importance of stomping on leaves when walking in the Fall. She’s caught on quite well. Today we played in the giant pile of leaves Tyler raked for her. She picked a “special” red one and sang “Twinkle, Twinkle” to it as she twirled the stem in her fingers while I pushed her in her swing. These days are the best. And then the day comes to a close. I told you we are in the process of potty-training, right? Ya know, for all the time our newborn classes spent talking about diaper contents, this was one they never warned us about. I suppose it surpassed the scope of the class. “Go potty!” Elise demanded tonight. “Ok, lets go,” I replied, hoping this meant a nice, dry Pull-up. As she took my hand to head for the bathroom, she looked up at me and matter-of-factly told me, “Ahweeve in there. Ahweeve. Ahweeve in there.” She nodded at me like I needed to agree with her. But when I went to help her onto the potty, I gasped and gagged when brown flakes that had been caked to her skin flew out of her diaper. Someone please grab me the Anti-bacterial wipes. I was not prepared for this. Why must potty training be so gross?! “Ahweeve on my bootie!” Elise exclaimed. And I fell over laughing. Apparently Elise had spent a good part of the night with a leaf in her diaper. And besides the leaf, she actually was dry. Hooray! Yes…. these are the best days. Even though we’re waiting and impatient to be chosen for a baby, we are in such a fun season of life right now. And much like Fall, time passes faster than we can imagine. Enjoy these last few days of beauty, friends. And don’t play too hard in those leaves. ❤ Just a little tip from Elise. 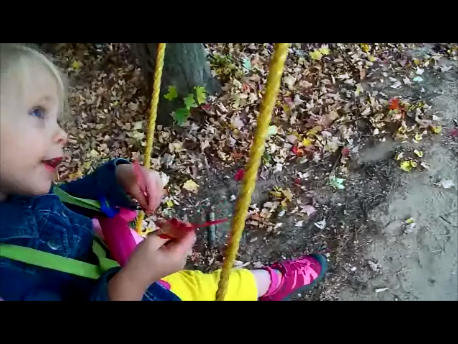 This entry was posted in Uncategorized and tagged Fall, parenting, Potty Training. Bookmark the permalink.